“Map: Civilian Conservation Corps (CCC) Road,” braddockheritage.org/, accessed April 24, 2019, http://braddockheritage.org/items/show/223. This 1939 map shows the location of the road built by the CCC in the 1930s to provide access to what was then an extensive forest, likely for fire control. Marked by a triangular symbol enclosing the letter "C", the road connected Old Keene Mill Road (Rt. 644) and Backlick Road (Rt. 617). The road, used by fire equipment and also by residents as a shortcut, was erased by suburban development and no longer appears on current maps. This map is a detail taken from a highway map of Fairfax County, Virginia. 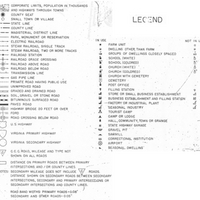 Symbols are explained in the separate map legend. 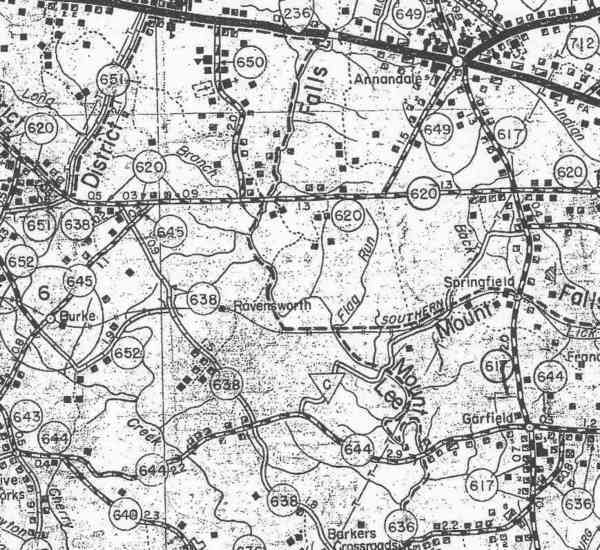 General Highway and Transportation Map, Fairfax County, Virginia, prepared by the Virginia State Highway Department and Virginia State Planning Board in cooperation with the Federal Works Agency, Public Roads Administration, 1939; provided by The National Archives and Records Administration.